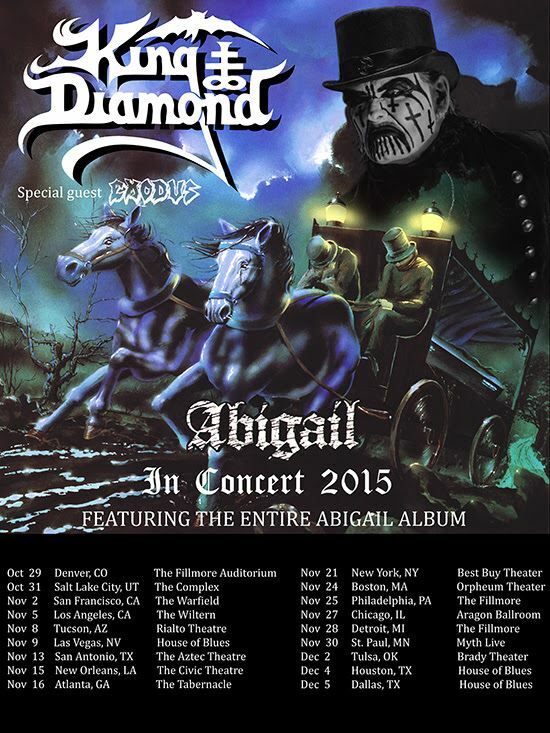 KING DIAMOND will perform its classic second album, 1987's concept effort "Abigail", in its entirety on the band's upcoming U.S. tour in the fall. Support on the trek, which will begin on October 29 and run through December 5, will come from legendary San Francisco Bay Area thrash metallers EXODUS. The general on-sale for tickets begins Friday, August 7 at 10 a.m. ET. KING DIAMOND guitarist Andy La Rocque revealed in a 2008 interview that "Abigail" was his favorite KING DIAMOND album so far. He explained: "The songs and the whole recording session was just surrounded with magical moments, great spirit and a very creative atmosphere. I still remember it as one of the best studio sessions I ever been involved in." KING DIAMOND in 2002 released an album called "Abigail II: The Revenge", which was said to feature a storyline that was the sequel to the original "Abigail" LP. 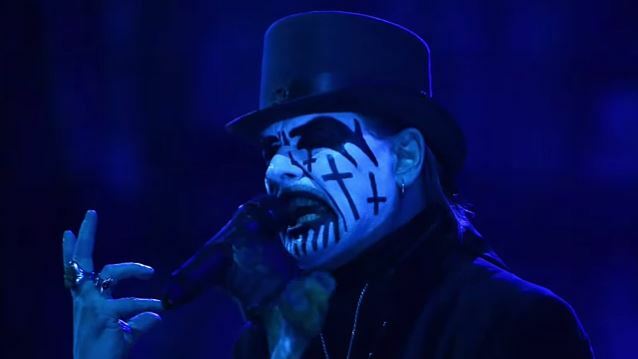 La Rocque last month said that KING DIAMOND hasn't officially started working on material for the follow-up to the band's 2007 album "Give Me Your Soul...Please", but he talked about a possible direction for the next CD. He said: "Hopefully the sound of the album is gonna be better. I don't really know about the story or… I've got some riffs and such that I wrote a few years back, actually, but I have to go back and check that to see if that still can be used. I don't know about that, because we get new ideas all the time. So we'll see about that. But I'm sure we're gonna have some fresh, good ideas for the next album, that's for sure. And when that's gonna happen, we don't really know."